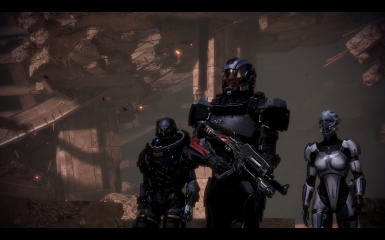 To wonderful folkks of me3explorer, and ME3 Mod Managers for creating suites that finally allow some proper modding. 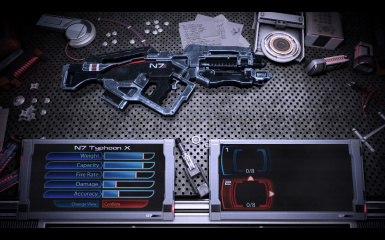 The Slim N7 Typhoon mod removes the ridiculous, unpractical and form-destroying 'faceshield' that sullies the N7 Typhoon. Because the last thing you want is an accessory that blocks your field of view. 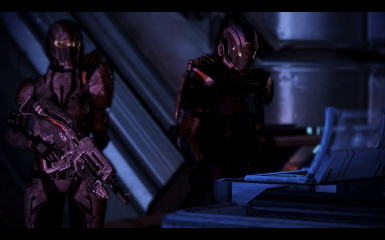 Drag and drop the "DLC_MOD_SlimN7Typhoon" folder into your Mass Effect 3 DLC folder (Mass Effect 3\BIOGame\DLC). 1. Does this mod supersede other Typhoon mods? 2. Does this mod extend to multiplayer? No. 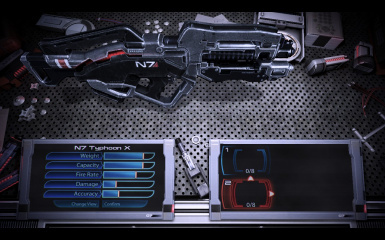 This mod does not affect the multiplayer-version of the N7 Typhoon. This is due to the fact that MP files (especially those that have been patched) are 'locked', preventing my mod from taking effect and actually causing my exe to stall. That being said, I've packed the raw mesh file with this download, so you are welcome to try and make a multiplayer version of this.